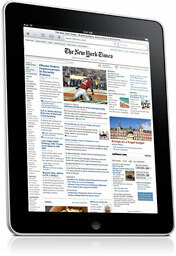 Steve Jobs introduced Apple's newest innovation, the iPad, last week. Within a day, technology pundits began sharply criticizing the device for a variety of reasons. While Apple hasn't made a flawless product, I believe the true reason behind the intense negativity stems from one simple fact: They don't understand the device and how it may very well revolutionize the field of mobile computing. 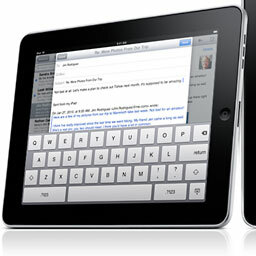 One of the features of the iPad that has been most attacked is rather prominent, the screen. While I can see how the battery life would be negatively affected by the IPS technology in the 9.7" display, I think the jump to LED backlighting - something that has not been common outside the Apple product line - will help the device conserve power to still allow for healthy battery life. Unfortunately, much of the tech industry, fueled by the increase in high definition (HD) content, has become addicted to widescreen displays, which are not as wonderful as they are made out to be. In fact, having used a 1080p display as the primary on my iMac, as well as seeing the new 21.5" iMacs with these 16:9 displays, I can tell you that widescreens with high resolutions are often very bad. To me, the new iMac's display has too much pixel density to be as usable as the older 20" models. In fact, the 24" Acer display that I use seems to be the minimum size for this resolution, since its about as tall as the iMac's built-in display. Also, if the resolution on the iPad had been any higher, its likely that the smaller images and text would have been hard to read, especially by those who are not in possession of young eyes with 20/20 vision. Another widely heard gripe about the iPad, one that is especially unfounded, is that it is nothing more than a big iPod touch. This is mainly heard from people who wanted this to be Apple's version of the Axiotron Modbook, a MacBook converted into a tablet. Often, this is also the same crowd who thinks that Apple should make a netbook. ...the iPad is a better answer for the average netbook user. What they don't seem to understand is that the iPad is a better answer for the average netbook user. The iPad allows one to browse the Web, manage email, listen to music, watch videos, manage photos, read books, write documents (like this column), and create presentations - as well as much more through third party apps designed with the iPad in mind. These are also the things that a netbook is designed to do. Unlike a netbook, the iPad has been optimized to do these tasks on a small screen with a mobile processor. The netbooks I have used generally have small screens and don't run very fast. On top of that, they either run a hobbled Linux distribution or a basic version of Windows, neither of which are particularly graceful. That's exactly why Apple decided not to attempt to build a netbook running OS X: it doesn't want a sub-par user experience that might reflect badly on the Mac itself. Not only that, but the iPad will perfectly fill the device gap that I, and many others like me, have. I don't want to carry a laptop around with me, but an iPod touch or iPhone is too small to do real work on the go. The iPad does precisely what I need. If I had one right now, I would be typing this column on it, rather than using my heavy laptop. In fact, when I buy an iPad at the release in late March, it will become a regular accompaniment to my other school supplies when I leave the house every morning. The other thing that the pundits have been blasting is the iBooks app. They claim that the iPad will never be able to display ebooks as well as Amazon's Kindle. While the LCD might not be the optimal display technology for ebooks, the iPad can also do a lot more than read books. Once again, the technologists have missed the point that the iPad is a tablet and needs to be a useful tablet, not just a good ebook reader. Also, the pundits are actually wrong on the utter superiority of e-ink displays. They compare the e-ink experience to reading off an LCD monitor that is not optimized for ebooks and a smartphone display that is too small to read on for long periods. I personally use a ebook reader that has a backlit LCD screen, and I have found it superior to the e-ink readers I have tested, including the Kindle. I experience no eyestrain over long periods, like I do on my iMac and iPod touch, and it is backlit, so you can read it in the dark. It even works rather well in direct sunlight, although not quite as well as e-ink. Also, because iBooks is merely one application among thousands, the iPad (with its color screen) has a lot more utility than the Kindle. People I know who would never drop $259 on a 6" Kindle - let alone nearly $500 on the 9.7" DX - will be in line on release day for the iPad, and I include myself in this group. In fact, my math teacher, who owns every Kindle model, including the DX, is going to buy an iPad and is seriously considering replacing both of her current model Kindles with it. Hopefully, the computer pundit community will be able to step back and take a more objective view of the iPad. Rather than comparing it to everything else that has come down the pipe, the iPad is best viewed the same way that Apple views it, as a unique third device that sits between the smartphone-style device and the full-size laptop. In fact, considering the price, it could almost be viewed as Apple's newest low-end Mac. * To maintain the 768 pixel dimension, a 16:10 display would be 1228 x 768, and a 16:9 would be 1366 x 768, making the iPad approximately 1.5" or 2.6" wider in horizontal mode.